Can you use Tesla Superchargers for your daily driving? There’s been a raging debate going on for the last couple years in the various Tesla forums about whether its good form to use Tesla’s Superchargers for your daily charging needs. When the second Supercharger in Massachusetts opened in Auburn, MA not far from my daily travels I started to think about this topic more and wanted to share my thinking. Free Supercharging for life is included with the 85kWh battery versions of the Model S, and it’s an add-on option for $2,000 for the 60kWh version. In both cases there are no limitations or restrictions on how often or for what purpose you use the Supercharging network. The Supercharger network is a huge selling point for Tesla and being able to make reasonable road trips in an EV is one of Tesla’s big draws. Everyone who is using a Supercharger has paid for that unrestricted right in one form or another. Are Superchargers only for road trips? Some owners will argue that the Superchargers were created just to support road trips where you need a fast charge. They’ll argue that’s all they should be used for. I look at this as the “purist” argument to Supercharger network use. It’s certainly true that you need the speed of Superchargers on road trips unless you have a ton of extra time available to you. I agree with the concern that daily drivers shouldn’t use up all the Supercharging spots and potentially block other owners who are a long way from home and in need of a charge. Practically I don’t think this scenario happens much. On the East Coast, finding another Tesla at a Supercharger is a rare event, but even on the West Coast where Tesla’s are more common, owners are generally civilized in organizing a line when the station is busy. Owners are helping other owners out when they may have different priorities and needs. Tesla also continues to add stalls and additional Superchargers nearby when they see heavy congestion. The battery swap option, if it ever becomes real, would also take load off the system. As the number of Tesla’s on the road increases and the masses join the EV revolution this could become a problem but it doesn’t really exist today. Superchargers are not just for road trips – they’re for whenever you need them and you paid for the right. Are frequent Superchargers taking advantage of Tesla? Another angle that is argued is that some people are taking advantage of Tesla for free energy and that excessive use of the Supercharging network for things other than road trips is abuse of the intent and bad for the company. 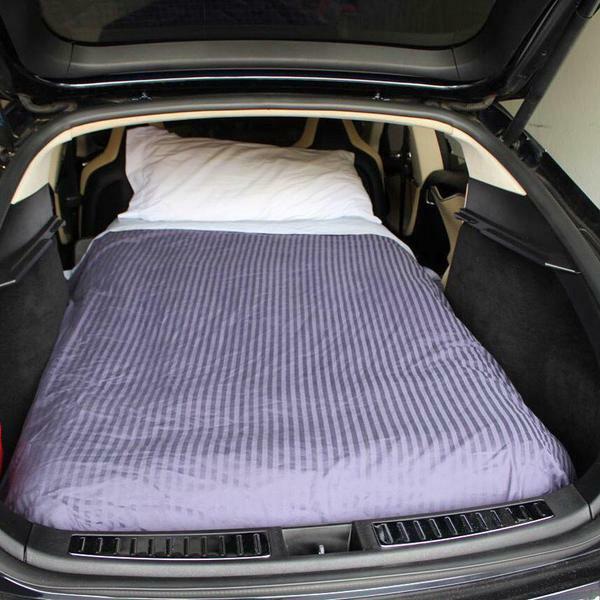 Some people that charge regularly at Superchargers have exceptionally long commutes or take frequent road trips. Others have no way to charge where they park their cars – in their city garage, on the street, etc. In this case the Superchargers are bridging the gap until infrastructure catches up. In other extreme cases people are driving all over the country for months, camping out in their Tesla’s and charging for free when they can. Regardless of the use, each has paid for the right to charge. Some owners are definitely getting more value out of the Supercharger network more than others but that’s also true of the Model S itself. Like many, I paid almost $100,000 for the car, but I’m driving it 100 miles a day and getting a lot of use out of it for my money. Others paid the same price and drive it only 20 miles a day. Am I taking advantage of Tesla’s unlimited mileage guarantees by putting a ton of miles on the car and getting a lot of use out of it? I don’t think so, I believe I’m getting great value for my money and the story is the same for those using the Supercharger network. Similar analogies can be made to unlimited cell phone plans, the unlimited 3G Internet in the Tesla itself, etc. Ultimately the argument doesn’t hold. Owners are not taking advantage of Tesla; they’re just getting more value for their money than others may be. Tesla is charging for the use of the Supercharger network, did they price it correctly? Let’s take a brief diversion and look at some numbers. There are a lot of factors here including things like upfront capital expenses to create the Supercharger network, ongoing maintenance costs, Tesla’s cost for electricity etc. I don’t believe anyone outside of Tesla can answer this question well and I’d guess that even inside Tesla it’s still something being studied and analyzed. Tesla is also still in the build out phase of the network and most installations are missing the solar panels to generate the power needed so they’re not as efficient as they will eventually be if their stated plans come true. Let’s just look at the basic numbers. Tesla charges $2,000 for the Supercharger option on the 60kWh so lets assume that’s the price and that it’s also somehow part of the 85kWh model price. Next you have to figure out what kind of range efficiency you’re going to use for the calculation, so lets take the simple approach and use the rated range use at 300 Wh/mile. Finally you need to look at the cost of electricity. This is complex as it varies greatly across the world. Even within US states like Massachusetts there are huge variations. I’m currently at $0.241 per kWh right now which hopefully is the temporary winter rate hike that National Grid claimed it is. My rate before the hike was $0.167 per kWh and that is still above the US national average, but let’s use that number to do some math. Taking the $2,000 I essentially paid for Supercharging when I bought my S85 and then dividing by my local electricity rate of $0.167 per kWh the math is telling me I paid for about 12,000 kWh of Supercharging. Now I divide 12,000 kWh by 300 Wh/mile and get 40,000 miles worth of Supercharging. I drive a lot at 30,000 miles a year. This included Supercharging mileage is over a year’s worth of driving for me. For some this would be several years worth of driving. And for most, including me, it would be almost impossible to “use” all those miles. 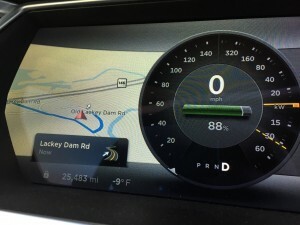 The calculation is optimistic in the 300 Wh/mile value – you can’t average that over a year in New England for sure. But it’s also pessimistic in using an electricity rate above the national average that doesn’t factor in negotiated (by Tesla) discounts etc. It seems clear to me that the “bet” on $2,000 price for the Supercharging “feature” to owners is a safe one assuming the infrastructure is built and you’re not in growth mode building out the network. The bet is even better if you add electricity efficiencies with solar panels, long term electric contracts, etc. Long term Tesla will make a profit on Supercharging, both from Tesla owners as well as and potential licensees – investors take note. As a side note it would make sense for them to roll out solar panels at the sites with the highest electricity costs first (i.e. near me!). The cost of Supercharging seems to be well priced in that few could possibly take advantage of 50,000 miles of Supercharging during their period of ownership and even without outliers the average is guaranteed to be well below the 50,000 miles. This is where I get to my “much ado about nothing” statement. As a test once the Auburn, MA Supercharger came online I tried to only charge at it for an entire month. That Supercharger is 5 minutes from my daily route. You need to think about when to charge and how often. I pass close to the Supercharger every 100 miles. So if I plan wrong I’m in trouble. In the summer I could get a couple days out of a charge, but in the Winter I need a daily fill. Supercharging is most efficient when you’re charging from a near-empty battery that is fully warmed up. Driving on a near-empty battery is scary. Less so if you’re hopping from Supercharger to Supercharger, but more so if you’re picking just the right time in your normal driving to make the stop. Practically it’s nearly impossible to pull off well. On average I had 20% to 40% battery left when I started charging up. Keep in mind that in the winter I’m using about 60% of my full battery capacity each day. My test was during January 2015 in New England. 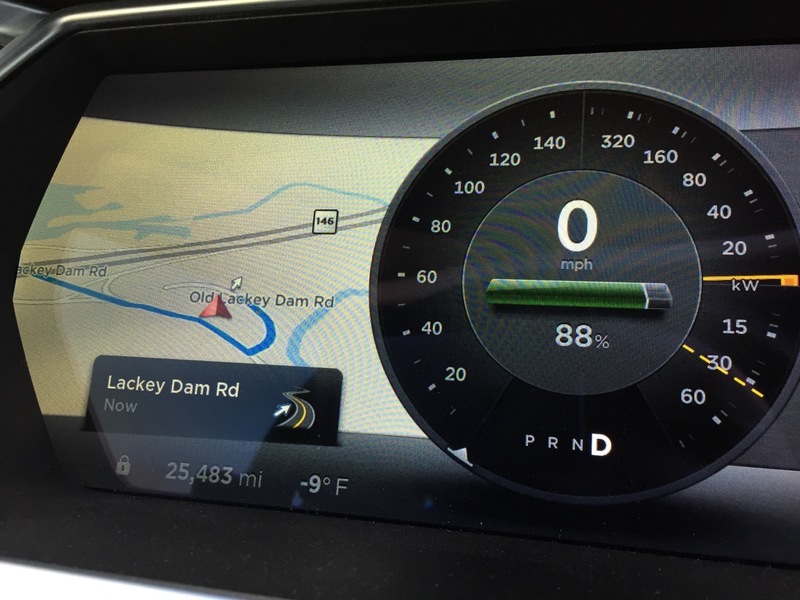 Here in New England, unless you’ve just charged, your battery is not likely to be at an ideal charging temperature unless you’re on a road trip or a trip of 40 miles or more. I can drive 45 miles from home to work and still not be up to the correct battery pack temperature on really cold days. At the Auburn Supercharger, my average charge time was 43 minutes adding an average of 148 miles of rated range with an average charge rate of about 200 miles/hour. I generally started charging after 45 minutes of driving. As I’ve said before I drive about 100 miles a day. That’s about 2-3 hours in the car depending on the traffic. Daily Supercharging adds almost 45 minutes to that time. For my pattern, Supercharging makes the most sense in the mornings. 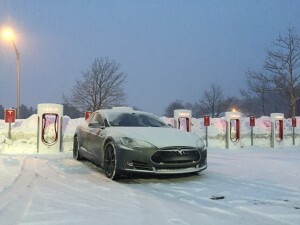 The Auburn, MA Supercharger is located at mall that isn’t open when I charge. The local coffee shop (Dunkin!) is a good walk way, sidewalks aren’t plowed, and its -7F. All this generally means I would sit in the car for 45 minutes more each day checking emails etc. and working much less efficiently than I would at my desk. Let’s get back to the math again. At a more realistic 330 Wh/mile for those 148 miles I added I’m getting a “free” 48.8kWh from the Supercharger. At my current crazy electric rate of $0.241/kWh those 148 miles I’m adding would have cost me $11.76 if I had charged at home. This equates to an hourly rate of $16.41. Even lower for people who live in more reasonable locations. My time is worth a lot more than this. 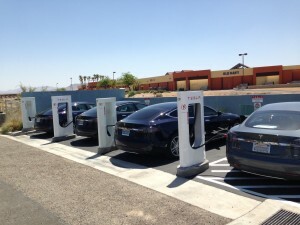 Daily Supercharging is also very inconvenient with all the planning, waiting, scheduling etc. I’d much rather find a way to save money by going solar or reducing my usage to offset the additional charging costs. Daily Supercharging takes away from the joy and convenience of starting each day with a full tank (charge). 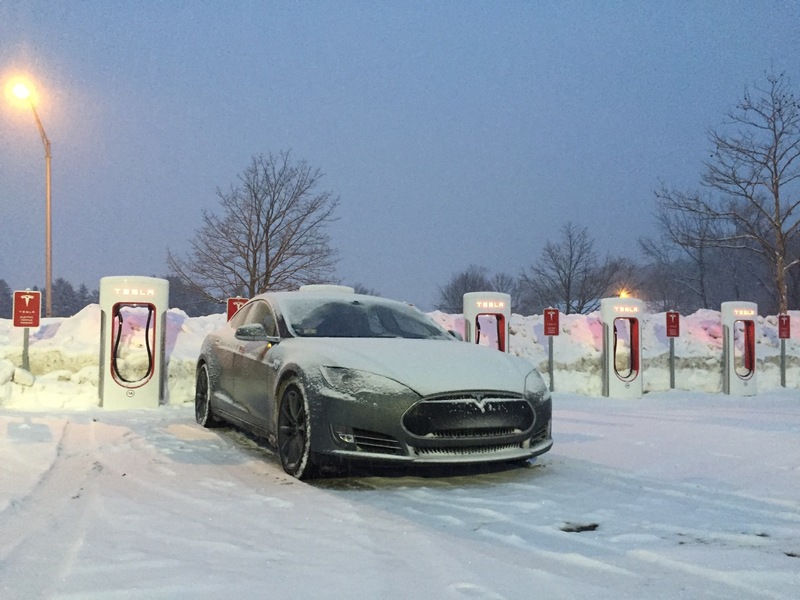 Daily Supercharging isn’t going to practical for most people. This also feeds back into the thoughts above about concerns around overuse of the Superchargers, the correct pricing of the feature by Tesla etc. While the debate rages on about daily Supercharger use and the impact to Tesla and other owners, the reality is that it’s much ado about nothing. 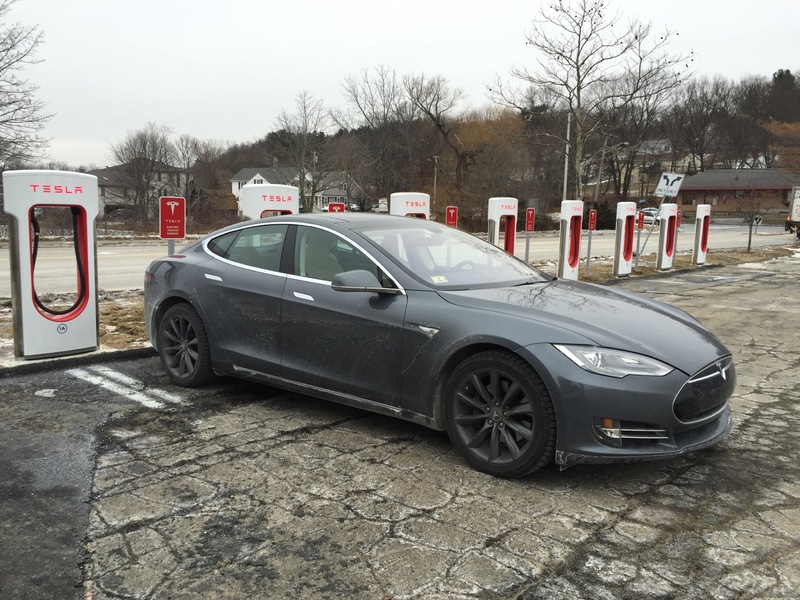 Concerns about overuse of Tesla’s Supercharger network are misguided. Tesla charges appropriately for Supercharger use, they place no restrictions on its use, and abusing the Supercharger network would take a whole lot of effort and idle time which most (especially those that can afford a $100,000 car) don’t have. Don’t think twice about using a Supercharger. It’s there for you and you paid for it and you will not likely ever use all that you paid for. Tesla Motors: Is Destination Charging Right for You?